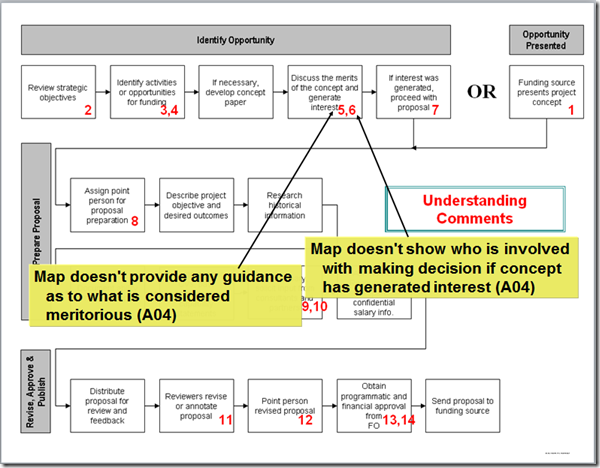 The first, and often most missed review of a process map is for readability. All the analysis in the world may not help a process if the readers can’t understand it. 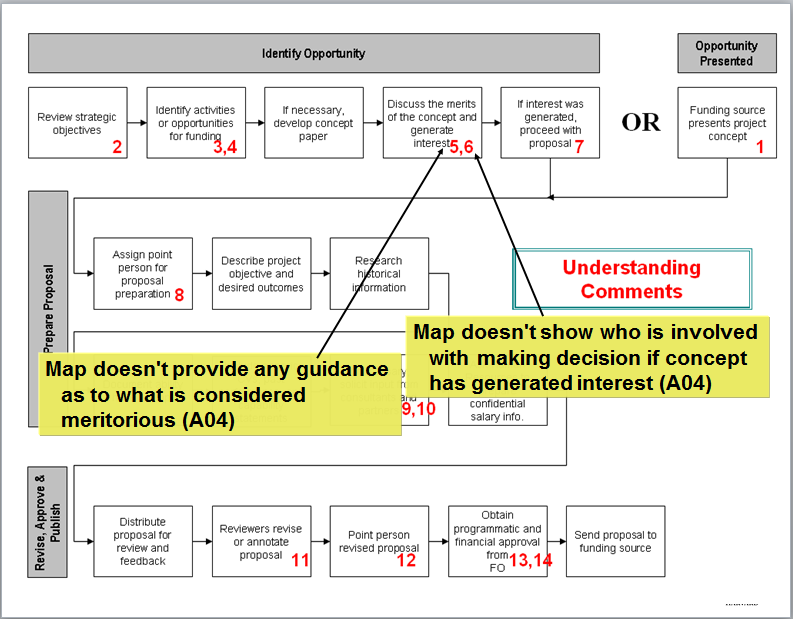 The map in the picture below is used as an example of what happened when process maps are poorly conceived. This one has many readability problems, some highlighted on the slide. Process Analysis for understanding and comprehension. Courtesy Harvard Computing Group, Inc.